Michael Flynn’s guilty plea and cooperation with Special Counsel Robert Mueller is bad news for President Trump: It shows that Mueller’s investigation is coming ever closer to the president and those closest to him. Flynn’s admissions make it impossible for Trump to deny that those in his inner circle were in close contact with Russian officials and have lied about it. 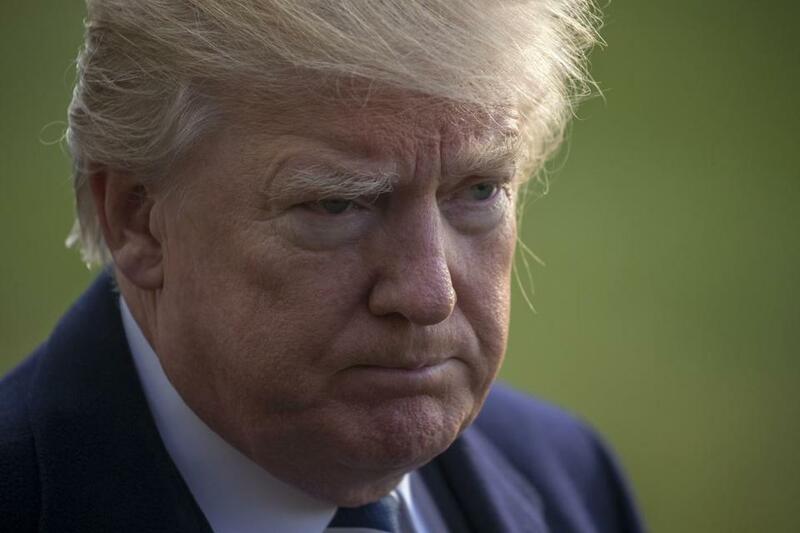 Most important, it lends credence to former FBI director James Comey’s charges that Trump engaged in obstruction of justice. 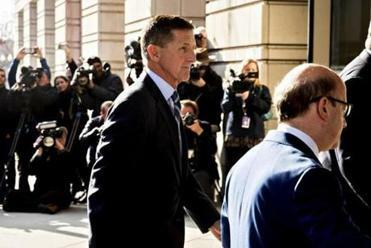 The earlier indictments and guilty pleas involved conduct during the presidential campaign (or even earlier), whereas Flynn’s indictment is for lying about actions that occurred after the election. Previously Mueller indicted Paul Manafort and Rick Gates and received a guilty plea from George Papadopoulos. All three of these individuals held top positions in Trump’s campaign for the White House. Manafort, for a time, was Trump’s campaign manager and Gates’ was Manafort’s “right hand man” and a deputy campaign manager. Papadopoulos was a top foreign policy adviser in the campaign. Manafort and Gates were indicted for the crime of “conspiracy against the United States,” including operating as agents of foreign governments without registering, as required by the law, as well as laundering over $75 million in offshore accounts. Papadopoulos pleaded guilty to lying to the FBI about his efforts to set up meetings with Kremlin-connected sources who claimed to have damaging information about Hillary Clinton. Trump, in his tweets, dismissed all of this as conduct during the campaign by those who only briefly were in charge. But Flynn, by contrast, was a part of Trump’s inner circle from the start of the campaign until he resigned as national security adviser early in the Trump administration. Flynn describes activities that occurred after the election. According to the indictment, in late December 2016, a “very senior member” of the transition team urged Flynn to seek Russia’s support on a United Nations security matter. Flynn then asked Russia’s US ambassador, Sergey Kislyak, to help delay or defeat a UN security council vote involving Israeli settlements. About a week later, Kislyak reached out to Flynn when the Obama administration imposed sanctions on Russia for election meddling. Flynn called a senior transition team official at Trump’s Mar-a-Lago resort and then asked Kislyak to moderate Russia’s response. Flynn pleaded guilty to lying about all of this when asked by the FBI. Does Flynn’s plea deal mark the beginning of the end for the Trump presidency? There are only two people who are bigger potential targets than Flynn — Jared Kushner and Donald Trump. This shows that the Trump transition team was illegally interfering with US foreign policy and attempting to undercut the Obama administration’s policies. Even more concerning is that it shows the on-going close ties between the Trump inner circle with top-level Russians from the campaign through the inauguration. The key question now is who else will be implicated by Flynn’s cooperation with Mueller. It seems likely that Jared Kushner, Trump’s son-in-law, played a key role in directing Flynn. It also appears that Donald Trump Jr. will be implicated. It is known that he participated in a July 2016 meeting at Trump Tower with several Russians, a meeting that was set up to get damaging information about Hillary Clinton. Comey’s testimony also indicated that he was fired because he would not provide Trump the loyalty he wanted, especially in not ending the investigation of illegal activities in connection with Russia. This is corroborated by Trump’s own words after he fired Comey, when he told told Lester Holt of NBC “this Russia thing” was on his mind when he fired Comey. The New York Times reported that President Trump told two Russian officials that Comey was fired to end “pressure” with regard to the investigation concerning Russian influence in the election. Flynn’s guilty plea and cooperation also make it harder for Trump to fire Mueller. The closer Mueller’s investigation gets to Trump and his family members, the more difficult it will be for the president to fire him without it having dire consequences. The bottom line is that Flynn’s guilty plea and cooperation is bad news for Trump and worse news is likely to come soon. Erwin Chemerinsky is professor of law and dean of the Berkeley School of Law, University of Californa.